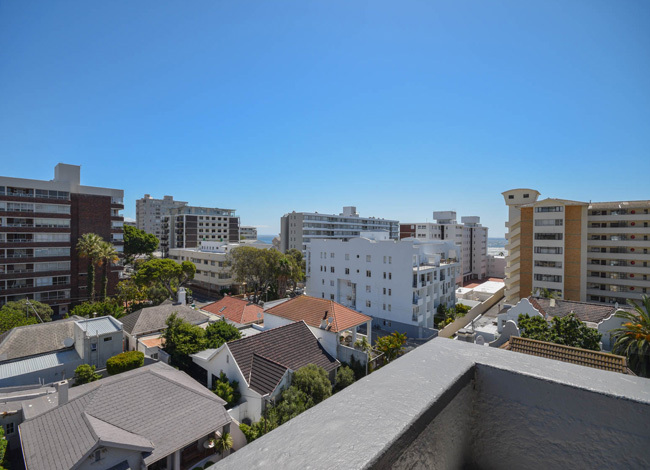 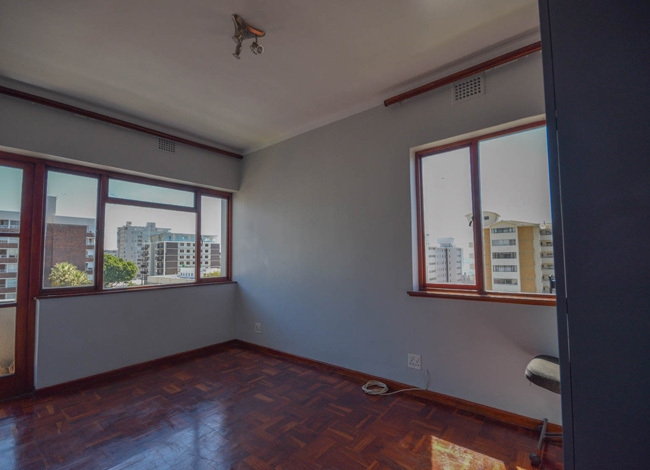 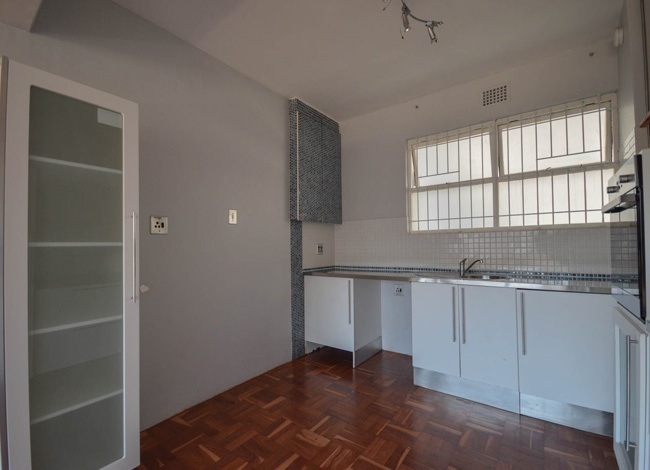 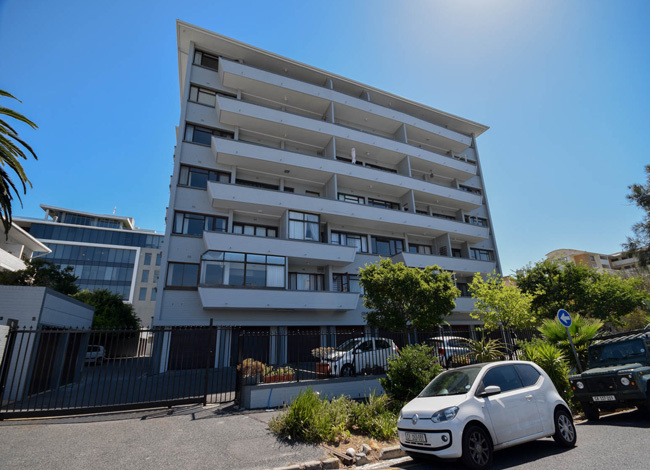 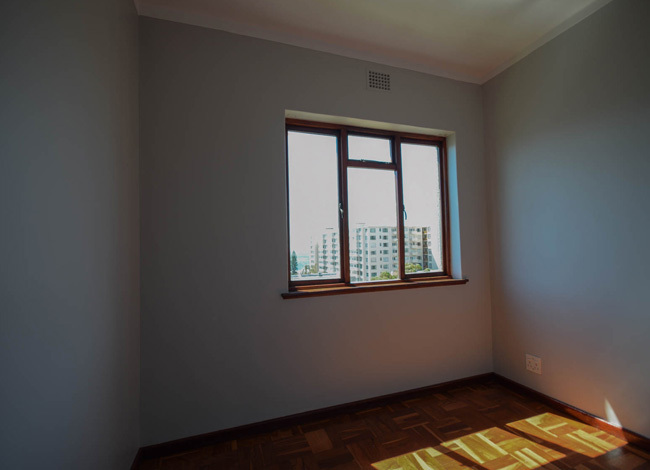 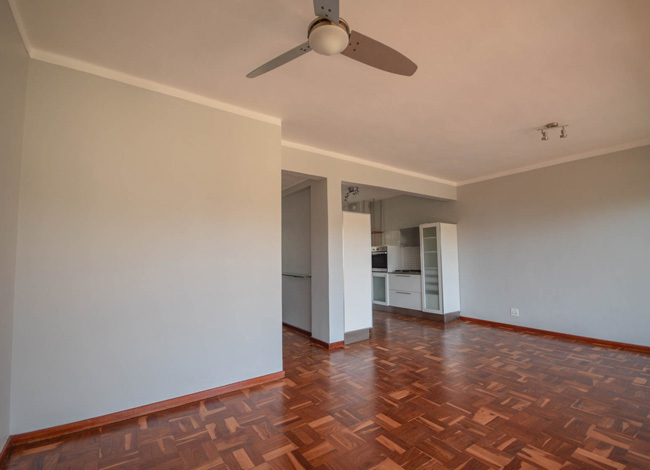 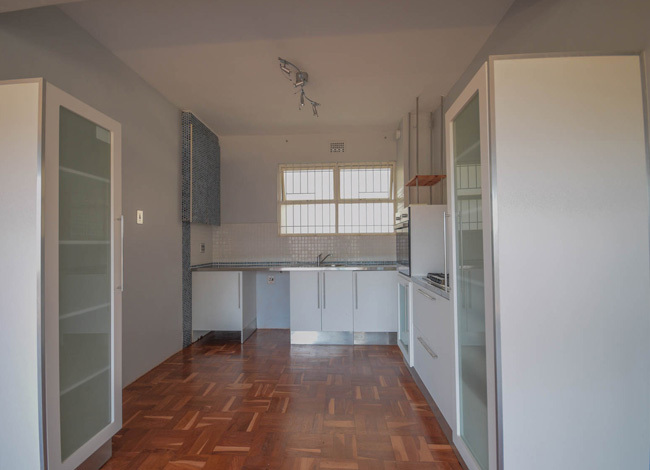 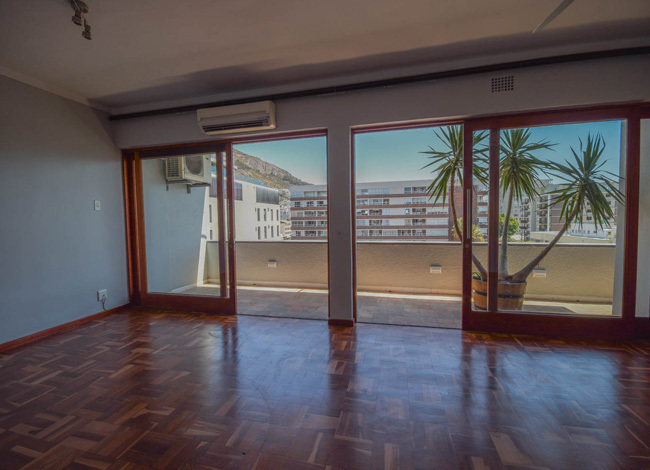 Unfurnished corner unit in well maintained block in the heart of Sea Point. 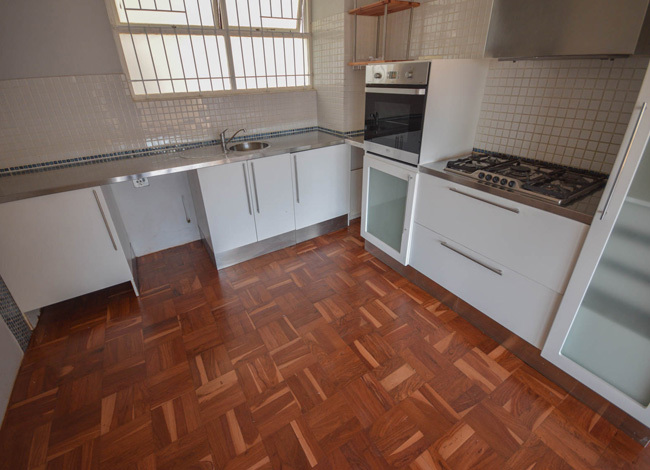 Open plan kitchen with gas hob. 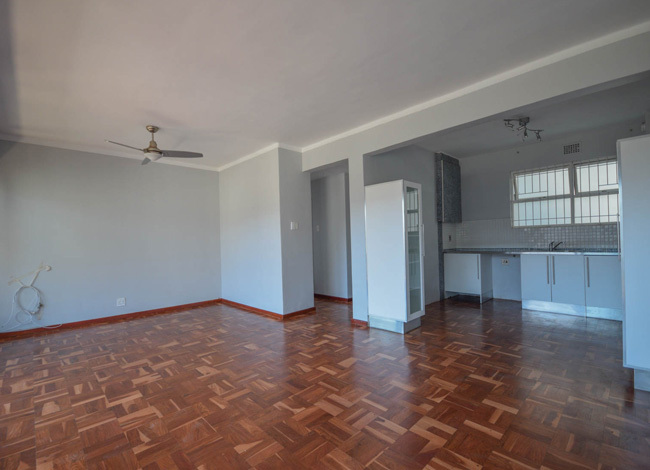 Open plan living are area with gleaming wooden floors. 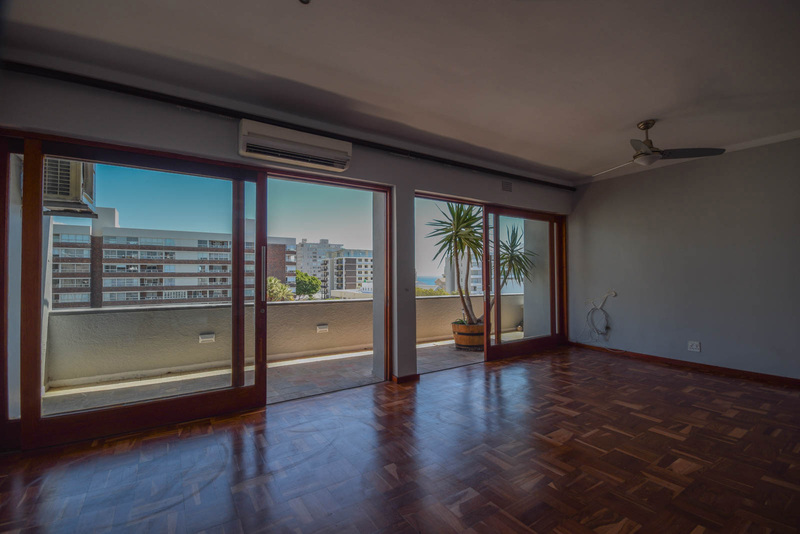 Large sliding doors lead onto open balcony with pleasant outlook. 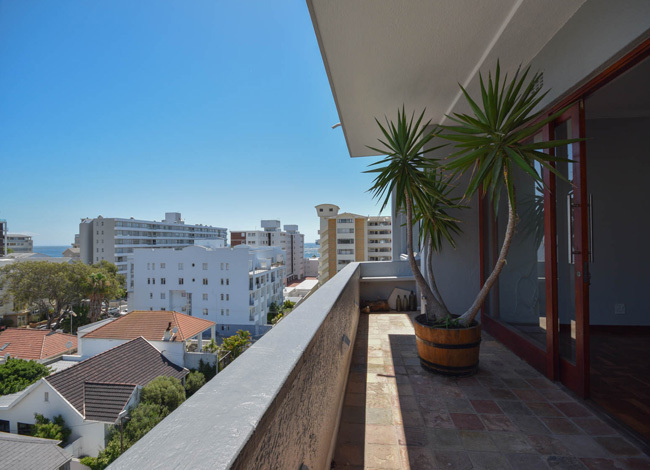 Large main bedroom plus second guest bedroom with slight sea view. 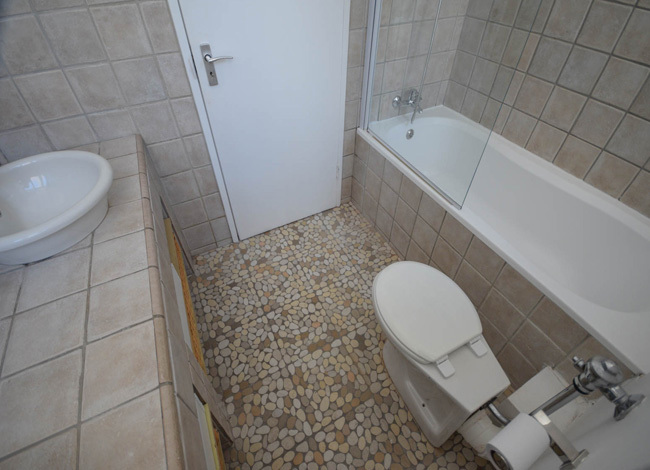 Includes one bathroom plus linen and storage cupboards.bonus of a lock up garage.